This review contains spoilers for the latest instalment in the Star Wars saga. The Last Jedi is best enjoyed free of such spoilers and expectations. You've had fair warning. Star Wars: The Last Jedi opens with a bombastic flourish reprising the space battle from Return of the Jedi and culminates in a last stand echoing the claustrophobia of the battle of Hoth in The Empire Strikes Back. 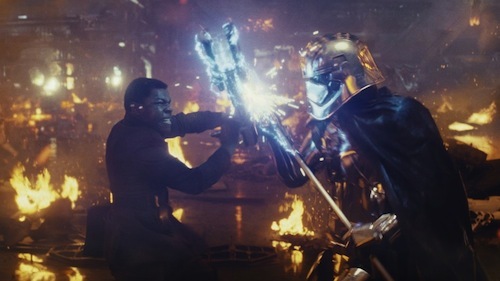 It’s what happens between these tentpole battles that elevates director Rian Johnson’s subversive and seemingly divisive sequel to The Force Awakens above standard Hollywood fare, and not only lays the foundation for Episode IX but also the director's own trilogy. Johnson, like Irvin Kershner before him, approaches the space opera from a deeply psychological perspective and not without wit. The horrors are mostly of the mind. It's a thoughtful examination of hubris. From Supreme Leader Snoke's (Andy Serkis) folly for underestimating his apprentice Kylo Ren (Adam Driver) to Luke Skywalker's (Mark Hamill) debunking of heroic legends and the Jedi order. The latter retrofitting the prequels with gravitas. Luke Skywalker's heroic return is anything but. 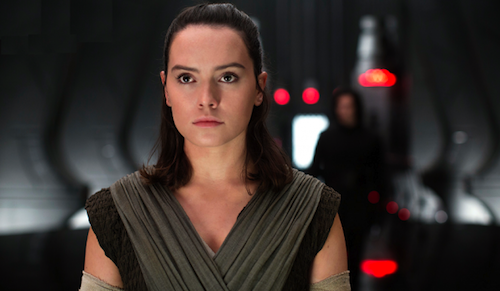 His father's lightsaber is tossed away and, as he resists training Rey (Daisy Ridley) in the ways of the Force, a chilling revelation regarding Ben Solo and how he became Kylo Ren is revealed. 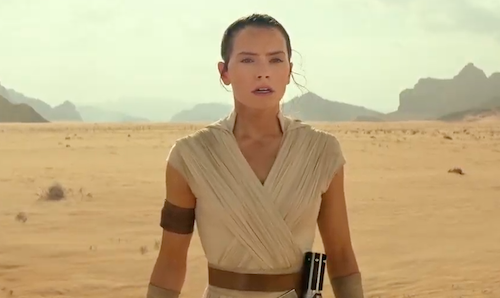 Rey and Kylo Ren’s relationship is emotionally charged and there’s a palpable attraction. An attraction that borders on romance. Adam Driver and Daisy Ridley are the charismatic leads of the sequel trilogy and here they take centre stage as Johnson cleans house after JJ Abrams rebooted the franchise. 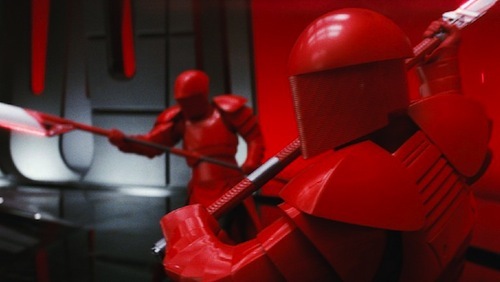 Their lightsaber duet, not duel as many may have expected, in the wake of Supreme Leader Snoke’s demise after he's deceived by Kylo Ren, is a death-dealing ballet of choreographed beauty and brutality. It was impossible to predict what would happen next as Kylo pleaded with Rey to join him on the dark side whilst Rey held onto the belief that the Master of the Knights of Ren could return to the light. Underscored by a sexual chemistry the prequels sorely lacked. It’s not without flaws. The Canto Bight casino subplot was apparently a return to the prequels and as such dragged the drama to a crawl. In the midst of an assault on the Resistance fleet, Finn (John Boyega) and newcomer Rose Tico (Kelly Marie Tran) go off for a day at the races and meet Force-sensitive children, which does have a payoff at the end. 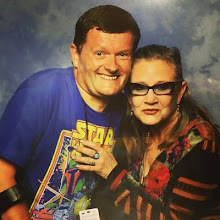 General Leia’s (Carrie Fisher) use of the Force, whilst an honourable intention when viewed in the context of Fisher's tragic death last December and one fans have yearned to see since the original trilogy, resulted in Mary Poppins in space. Captain Phasma, played by the imperious Gwendoline Christie, was given short shrift and an unsatisfying exit a la Boba Fett. Minor gripes in an otherwise character-driven tour de force (I went there. Sorry not sorry). Johnson dared to take risks with a franchise that's all too easily homogenised and subverted established tropes. 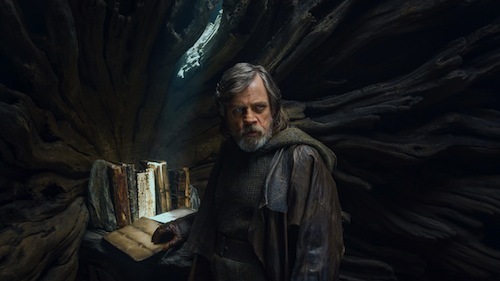 The Last Jedi climaxes with the embattled Resistance, now significantly reduced in number due to Poe Dameron's (Oscar Isaac) hotheadedness, escaping aboard the Millennium Falcon with General Leia and Rey, who has taken the sacred Jedi texts in the hope of rekindling the order. John Williams' soundtrack is the beating heart of any Star Wars movie. Here, the maestro excels himself with fresh takes on familiar, beloved, themes spanning an expansive body of work and hints at the future of a franchise for which he is intrinsically linked. Without Williams' timeless orchestral score for a New Hope in 1977, George Lucas' space opera would never have been as epic and my childhood adventures would have been all the lesser.